Great news on the Public Safety front. Our detective has gone through the 4 week training with ICE and is back to work at the police station this week. 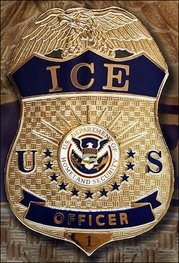 We now have a trained detective that is certified with ICE and will work with them on cases involving criminal aliens. We believe that this the first municipal officer in Texas to complete this training. Great news; now get after it! I agree, and the SOONER we go after it, the BETTER!